Allegra Boverman/Cape Ann Magazine. 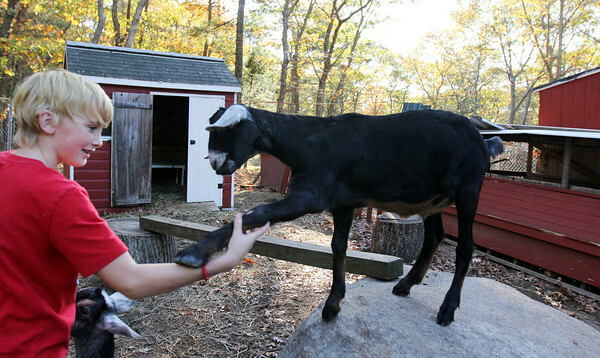 Austin Monell, 12, of Gloucester, taught his goat Ringo, right, to shake hands. His other goat, Leo, is below.